The Battle of Cotton Plant (also known as the Battle of Hill's Plantation or the Battle of Cache River) occurred on July 7, 1862 in Woodruff County, Arkansas, during the American Civil War. During the summer of 1862, Union Maj. Gen. Samuel R. Curtis planned to move his army toward Helena, Arkansas, in search of supplies to replace those that had been promised but never delivered by the U. S. Navy. The Confederates skirmished with Union troops as the Federals marched south along the White River toward the supply flotilla waiting at Clarendon. On July 7, 1862, Confederate Maj. Gen. Thomas C. Hindman ordered Brig. Gen. Albert Rust to stop them at the Cache River. Rust moved too slowly, so the forward elements of his force did not strike until 4 miles south of the river on Parley Hill's plantation near Cotton Plant. The outnumbered Illinois and Wisconsin infantry commanded by Union Col. Charles E. Hovey repulsed repeated, poorly organized attacks by Confederate Col. William H. Parsons's two Texas cavalry regiments. The Confederates fled when Federal reinforcements arrived. On July 8, the 2nd Wisconsin Cavalry, under the command of newly promoted Brig. Gen. Cadwallader C. Washburn, pursued the Confederates to the Cache River, destroying two ferry boats and capturing several prisoners. Curtis proceeded to Clarendon, only to find that the flotilla had departed the previous day. He turned east toward Helena and occupied it on July 12. Federal forces controlled the town for the duration of the war. 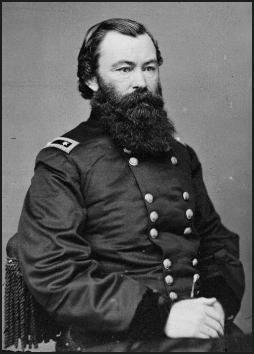 Nevertheless, Hindman, despite suffering defeat, remained between Curtis and Little Rock, his objective.